In this week’s podcast we’re talking about links, but not just any old links. 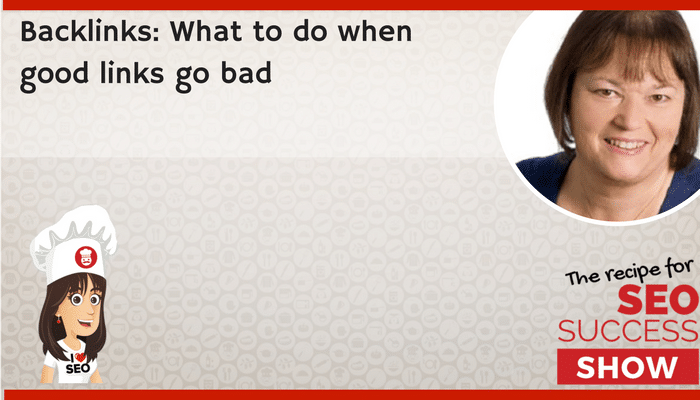 BAD LINKS and we’re going to explain – what to do when good links go bad. There are lots of reasons that you can find bad links pointing to your website, perhaps you paid for some cheap links on Fiverr, perhaps you used a dodgy SEO company or maybe they just showed up and you have no idea how. Today with the help of Sha Menz I’m going to tell you how links can negatively affect your ability to rank, how to find them, and how to fix them. Sha has been building and optimizing sites for search engines for two decades. In that time she has seen a lot of “emerging trends” and a lot of “tried and true tactics”. In the end she discovered applying her skills and experience to fixing damage left in their wake is what really fires her up. Among the most experienced Penalty Recovery Specialists in the world, Sha lives for the challenge of resurrecting sites that have been decimated by search engine penalties, and loves to share her knowledge of this complex niche with others. Her fresh approach to penalty resolution is all about finding ways to protect brands, preserve reputation, and earn links while getting sites back on the right side of algorithms and Webspam Teams. Sha speaks regularly at Digital Marketing conferences around the world and in 2017 is scheduled to speak at Pubcon SFIMA, SMX Munich and Big Digital Adelaide. My sound was a little bad in this week’s episode, so I’ve included a transcript to help you follow the show. Just head to the bottom of this page. And big thanks to Fgjyf for their lovely review. 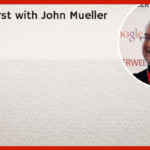 Podcast: Backlinks: What to do when good links go bad #SEO #SEOPODCAST. Kate Toon: Today we’re talking about links, not just any old links, but bad links. Essentially, what to do when good links go bad. 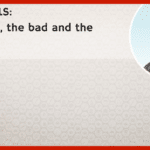 There are lots of reasons that you can find bad links pointing to your website. Perhaps you paid for some cheap links [inaudible 00:00:24]. Perhaps you used a dodgy SEO company. Maybe they just showed up and you have no idea how they got there. Today, we’re going to tell you how links can negatively effect your ability to rank, how to find them, and how to fix them. If you’re keen to get to grips with links, today’s episode is for you. 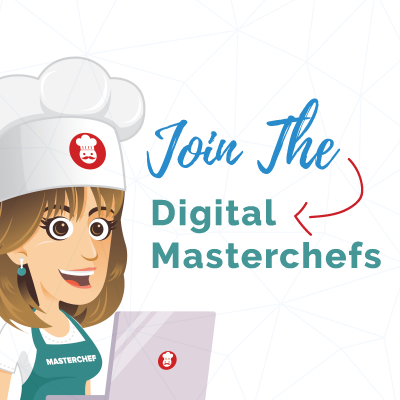 Hello, my name is Kate Toon and I’m the Head Chef at the Recipe for SEO Success, an online teaching hub for all things related to search engine optimization, and I love SEO. Today, I’m joined by the awesome Sha Menz from rmoov.com whose Twitter profile describes herself as a penalty buster, software architect, SEO addict, and cookie nut. She ran her own digital print and web design business for 11 years and currently is Project Manager for the US based web developer company, rMoov Sha handles SEO with a specialty in content development and SEO, forming relationships with clients, and working with them to build their communities and pulling together their combined abilities, to make sure everything has a real buzz. I messed up that little bit up a little bit, but did I get that bit, Sha. Welcome to the show. Did I miss anything out from your bio there? Sha Menz: Thanks Kate. It’s great to be with you and thanks for having me. I think you’ve pretty much covered it, except I do have a little side gig as a conference organiser, but I think we’ll probably talk about that later. Kate Toon: Yes. Well, I was going to say that Sha and I met last year at the big digital conference in Adelaide. Last year was the first year and it’s running again. What are the dates this year? Sha Menz: We’re starting out on the 8th of May, and we have two days of conference, 8th and 9th, and a workshop day on the 10th. Kate Toon: I’m very excited to be speaking there. We haven’t fully agreed what I’m going to be speaking about, but I’m going to be there. It’s a great conference, and great to see something like that happening in Adelaide because often these things are in Sydney or in Melbourne. It’s great to see Adelaide getting a bit of the action. Sha Menz: Yeah, and coincidentally we’ve timed it for immediately following the Tasting Australia festival in South Australia, so food for the week before and digital marketing the week after. Can’t go too far wrong with that. Kate Toon: No, a bit of brain food. That sounds good. What we usually do at the start of our podcast is we have our guests share a bit of interesting SEO news you might have read this week because we do [inaudible 00:02:55]. We put them out pretty quickly afterwards. Have you read any interesting SEO stories over this festive period, Sha? Sha Menz: Well, there’s been a few things. I guess the things that have been most interesting to me have been things like advances in social, where we now have the Periscope app, an ability to go live straight off of Twitter with Periscope. We’ve got Instagram stories really ramping up and using videos in Twitter. Some of those people are actually using that facility to create whole programmes and things like that, so that’s pretty interesting stuff. The other thing I did see just a little while ago, a few hours ago in fact, is that you can now actually insert emojis from the desktop version of Twitter and that has made my day. Kate Toon: I love a good emoji. 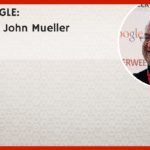 Something I read this read this morning, which I found quite interesting, was John Mueller saying that Wix isn’t bad for SEO, since you read the article this morning on Barry’s Schwartz’ website. Very controversial, and I could see the comments starting to roll in, like, “Shall I get involved in network?” “No, Step away.” You could lose a whole day in that argument. Sha Menz: I think it’s probably best to just step away from that. Kate Toon: Step away from the arguments, but anyway, today we are going to focus on links, bad links, what to do about links. Sha gave a very interesting talk about this kind of topic at Big Digital late last year, so I thought she’d be the perfect person to talk to us today. Before we get started on links, we obviously have a lot of listeners who aren’t hugely okay with the world of SEO, so let me do a quick explanation. For the newbies amongst us, let me start by explaining that links are links from other websites to your own. You often talk about internal links, but in this episode, we’re talking about external links. For example, I might write an article for the Sydney Morning Herald, and they might give me a link back to my website in my bio at the bottom of the article. Now, search engines like Google see links like these as kind of a stamp of approval for your website. They say, “Well, if Sydney Morning Herald is linked to Kate Toon’s site, it must be good.” They kind of give a little abstract tick in my report card, and that could possibly give me a little push up the rankings, but not all links are created equally. Links from high authority sites, obviously Sydney Morning Herald, high authority, lots of traffic, been around a while, very trustworthy, very authoritative, can be lot more valuable from links from smaller, less well-known websites. It’s not all about quantity, it’s about quality. Getting heaps of links isn’t a guarantee you’re going to get a big boost in the rankings. Perhaps having heaps and heaps of links from dodgy sites could have the opposite result. That’s right, isn’t it Sha? Sha Menz: Well yes, that is right. I guess the other thing we should remember, Kate, is that that can also happen sometimes even with the high authority sites if it’s obvious that those links have been made artificially. 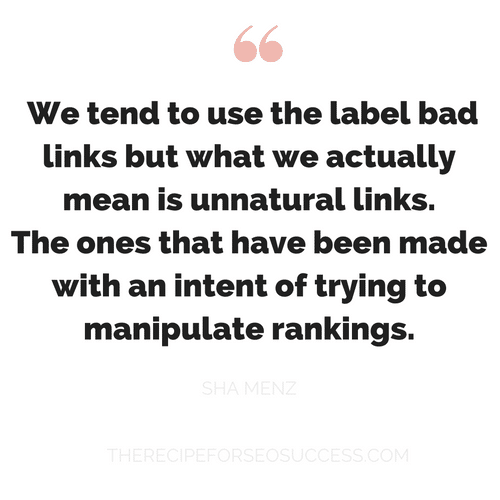 We tend to use the label Bad Links, but what we actually are talking about is unnatural links. Those are the ones that the search engines are actually concerned about, the ones that have been made with an intent to try to manipulate rankings. Kate Toon: Let’s talk about some of the possible impacts of having a bad link profile or an unnatural link profile. What are some of the things you’ve seen happen to sites that have gone down this route, that have an unnatural link profile? Sha Menz: Okay. There’s really two things that can happen. The first one is that we have an algorithm, or a part of the core algorithm now that’s referred to as Penguin, which assesses the links that are pointing to a site, and it makes determinations on whether those seem to be natural or unnatural based on all of the data that it has and all of the things that it’s been taught. If that algorithm decides that your links look unnatural, it can demote you in the rankings as a part of the normal course now of actually having your website crawled and indexed. The other thing that can happen is that there is what we call a Manual Actions team. We’re talking specifically about Google here, but there are similar teams in other search engines as well that we need to pay attention to, for all of them of course. Those teams can actually look manually at your site and go, “Whoa, there’s something there we don’t like,” and they can manually apply a penalty, what we actually call a penalty. That will, again, demote your site in the rankings and it makes a big difference to revenue. Kate Toon: It does. A couple of years ago when Penguin was initially really rolling out, a lot of sites were hit hard by this because maybe they’d gone out, they’d bought links, or they paid SEO agencies to build links in quite an aggressive and unnatural way. Many of them took a long time to recover from those, and some of them are still recovering. Is that your experience as well? Kate Toon: … got hit by it, by Penguin? Sha Menz: Yeah, absolutely. The interesting thing is we had a situation where the Penguin algorithm was something that was updated very, very slowly. It took a long time. In fact, the last update took a few years to happen, which was a great frustration to people who had done some work to try to get themselves back in the right place, and they had to wait for an update of all that data and that algorithm to actually see results. What we have now though, as of September 2016, is a situation where, as I said, that is a part of what we call the core algorithm. It’s a part of the general crawling and indexing of your site, and so those decisions and those changes can be made much more quickly. That is a great relief to most people who have been affected. Kate Toon: Yeah, some people were affected, it’s like real time Penguin, but all it means is it happens on a much more regular basis with the regular crawl. Sha Menz: Real time can be a little misleading. Sha Menz: No. Real time, when we talk about computers generally, means like when you book an airline ticket. You can do it, click a button, and it’s updated in real time. It’s not really happening like that, but Google tends to refer to it as a real time algorithm. Kate Toon: So it’s not instantaneous, but it’s done slightly faster than it used to be. Kate Toon: Anybody who’s listening to this and wondering, “Well, look, how do I find out which sites are linking to me,” there are lots of different tools we can use to look at it. One of my favourites is Ahrefs. 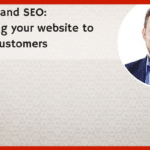 If you’re listening to this podcast and you haven’t listened to the episode where we went through and reviewed some SEO tools, then I highly recommend you go back and listen to that. 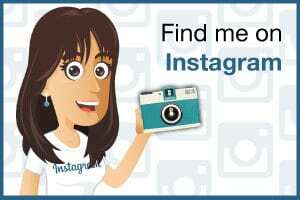 What’s your favourite tool for looking at backlinks, Sha? Sha Menz: Okay. I think my absolute favourite, there’s two of them and they’re the ones that actually belong to the search engines. That is the link download feature which you get in Google Search Console, so that’s actually giving you the data that Google was sharing with you about the links they see that are pointing to your site. Also of course, Bing has the same kind of thing in their webmaster tool set. That’s really important information because it’s giving you what the search engines are prepared to tell you they actually know about, but the thing you have to be aware of there is that in Bing’s case, they will give you all of your data. They believe it belongs to you and they will give you all the data they know about. In Google’s case, they will only give you a sample of the data, and that is something you need to be concerned about because that means you then need to go to the other tools, and you’ve talked about Ahrefs. I guess my favourite third party tool would be Majestic. Kate Toon: Yeah, and then you kind of need to pull together information from the various tools to get a complete link picture, but even then it cannot be completely complete. Links seem to come and go, and some, you know damn well that you have a link linking to your site, but it’s not showing up in your link profile. Why does that happen? That’s one of the questions we get a lot in the I LOVE SEO Group. Sha Menz: Often it’s simply because all these tools crawl in different ways and in search of different types of data for different reasons. I guess the intent of the tool will govern how their crawling happens. In some cases, they crawl much more broadly, but don’t go as deeply into sites. In some cases, they go very deep, but may not crawl the breadth of the internet. For example, if you think about tools like the Moz tool, that tool, you tend to get more high-quality sites but not so many of them, but it’s still worthwhile actually getting all of that data from all those different sources. I’ve actually done a really simple test in Excel years ago where I grabbed data, linked data from all the different tools I could find, and I colour coded all the data, put them into one spreadsheet, and deduplicate it. I had a multi-colored spreadsheet, which is basically telling us that I’m getting different link data from all different sources. Some of them definitely overlap, but there is always different data. Kate Toon: I think the thing to be assured about though, just because the link isn’t showing up in a particular tool, if you know it’s there, you can actually see the link and click through on it. You have the link. Just remember the tools only show you data. They’re not telling Google anything. Kate Toon: They’re not doing anything for you, so if the link’s there, the link’s there, just because it’s [inaudible 00:13:04]. Sha Menz: The thing to remember also with that, is that third party tools are always third party tools. They only can access what they can get to from their position. As I said, the data that the search engines themselves give you is really important. Some other places to find data, if you’re trying to do a link cleanup or assess a link profile, are things like reports of these being sent to you by people who might’ve been doing link building, or you might have actually gotten emails from people with old links in them if you have archived emails and all those sorts of things. Often you can actually find lots of link data that actually isn’t represented in any of those tools. Kate Toon: That’s right. Now, let’s assume that our listeners have pulled together the link data that they have, and now they’re trying to audit those links. They’re looking at the links and they’re kind of trying to tell which ones are doing their sites justice, which ones are helping and which ones are having a negative impact. Perhaps let’s use an example where somebody has used maybe a dodgy SEO company to build links for them, and now they’ve got to the point where they want to take control of it themselves and they’re looking back through the links. How do they tell which ones are good, and I’m doing air fingers, and which ones are bad or unnatural? What metrics do you use? Sha Menz: Okay. The first thing you need to look at is going to be the anchor text. This is why sometimes the third party tools are the most helpful to you because they will actually show you things like what is the anchor of the link, or the actual text that’s being used to create the link on the page to go to your website. If, for example, you’re in a space where you might be selling used cars and you have a lot of links in your profile, like a large percentage of links in your profile that are linked using very high-value anchor text in that space, then that would tend to say to the search engines that someone’s been deliberately trying to manipulate the algorithm by using those particular keywords to link. That’s the one that Penguin is primarily going to be looking for as a first look, so you need to worry about it. Kate Toon: Just to clarify that for some listeners who aren’t familiar, anchor text just means the words that the link is wrapped around. When you see a linking copy, sometimes it could be wrapped around yours or naked URLs, so www.domain.com [by you 00:15:34] or .com. It can be wrapped around your name, like Kate Toon, or your business name. If you have found a lot of links wrapped around your hotkey words, so for me it would be ‘copywriter’ or ‘copywriter Sydney’, 70% of my link profile is wrapped around those words. It just doesn’t look natural because it [inaudible 00:15:54] natural. That’s what anchor text is, just for those who don’t quite know what that means. That’s one way to look at it. Interestingly enough, a little personal story here. I was negative SEO, which means somebody actually went out of their way to build unnatural links on my behalf, so it’s [inaudible 00:16:12] impacts my ranking. What they did was wrap all those links around ‘copywriter’ to try and knock me off the top spot because I’m top in Australia with the word ‘copywriter’ after Wiki. I used a tool like Ahrefs and it was really great to be able to … They have some great little graphs and things [inaudible 00:16:30]. You get a really clear vision of what [inaudible 00:16:33] word clouds and pie charts, and make it really easy for you to go, “Hey, wow. I didn’t realise I had that many links wrapped around that keyword.” That’s [inaudible 00:16:43], and it was much easier to fix. That’s just a little top tip for you there. What are the metrics that you look at other than anchor text? Sha Menz: Okay. One thing that I’ll need to say right off the top is that you need to be really careful with using metrics to make decisions. You can use metrics as a guide. As we were talking earlier, high authority sites should be good, but you should never assume that links are fine because they’re on a high authority site. You should also never assume that links are bad because they’re on a low authority site. That may simply mean that it’s some blogger who’s not been out there for very long, or some other site that just hasn’t built authority yet, but they could be perfectly natural links. If you go trying to strip links out of your link profile and you remove links that actually aren’t unnatural, that can actually do you more harm than good, so you need to be really careful about that. 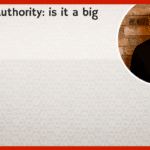 Looking at the authority of sites is quite important, but you also need to be careful about where you get those authority figures. Some of those third party tools will actually give you information about how much they trust a site. One thing. Having said that Majestic is my favourite place for getting link data, you have to be really careful with Majestic because if sites choose to block their crawler, Majestic will actually represent those links as removed, and the links could still be there. It’s just that their crawler can’t access them, so you need to be really careful about just taking data at face value wherever you get it from. Kate Toon: I think that’s so true. Look, the level that some of the small businesses I’ve worked with are at, it’s not like they have hundreds and thousands of links. 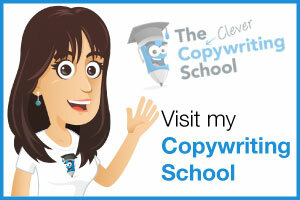 One of the best ways to have a check of whether that link is a good link or not is to simply go and look at the site. Kate Toon: If it’s a high-quality site with good content that doesn’t look like it’s all just been scrapped and generated by [a box 00:18:52], then that’s fine. As you said, it could be a small time blogger or something like that. Another thing I looked at a lot was the location of the links. Being an Australian, like an Australian window cleaner based in Melbourne, there’s really not that much of a reason for sites in Russia and China to be linking to you. Kate Toon: Location can be a good indicator, but again, you get surprised because you could have some Chinese window cleaning company talking about you. I don’t know. I think sweeping generalisations are not good [crosstalk 00:19:22]. Sha Menz: This is the thing that generally, there are some tools that will automate the analysis process for you, but I tend not to want to use to use those tools because they tend to make mistakes. It’s impossible to algorithmically get things perfect. When you’re talking about someone’s bottom line, which is effectively what we’re doing, we’re talking about the ability to be seen by your audience and therefore convert, sell your product. If we’re talking about that, we need to be careful that we are keeping the ones that are genuinely good and trying to remediate or get rid of the links that are genuinely not good. It’s always best to just manually put your eyes on them. In the situation of most of your audience, as you said, it’s a small link profile, so it is not really that hard a job to go and look at each one, but I can tell you there’s a particular tool that will make it very, very much easier for you. It’s actually just a browser add-on for the Google Chrome browser, and it is called SpamFlag. What that allows you to do is to load your domain in there and turn it on. In fact, the current version allows you to put multiple domains in, so if you actually have multiple websites and you have had someone do some link building for you, and we quite often find that they’ll go and they’ll build links on your six sites, all from the same site and those sorts of things. In SpamFlag, you can put in each of your domains, and then anytime you open a webpage that has a link to your site, it will show you how many followed links and how many no-followed links. The follows and no-follows are very important for determining whether those links are going to be a problem for you or not. 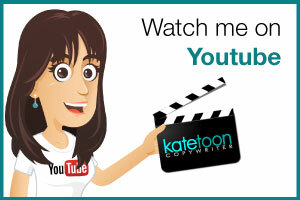 Kate Toon: It’s a great little plug-in that I use. What I’ll do is I’ll include the link to that Chrome plug-in in the show notes. You can go in and check it out. There’s so many great Chrome plug-ins that my browser bar is full of them. Let’s assume that we’ve created our link profile and we’ve made some assessment on the quality of our links. We’re going to now start talking about removing them. As you’ve said, and we were going to repeat this, you don’t not want to just randomly start disavowing links. I’ll talk you through disavowing in a second. Also, there are lots of link cleanup tools. In my experience, as Sha mentioned earlier, is they do make mistakes, and they often can get rid of actually quite high-quality links, [crosstalk 00:22:03] a manual process. Let’s talk a little about disavowing links. For those who don’t know what it is, there’s a few options. Obviously the first thing you can do is actually approach the webmaster on the site and say, “Hey, can you remove this link?” Obviously, if it’s some site in Azerbaijan, you’re probably never going to hear from them and they’re never going to take any note of your email. After you’ve tried your best to get them removed, then the next option is [inaudible 00:22:32] pretty straightforward. You could create a simple text file of the link, [inaudible 00:22:40] that you want to be removed and you upload it to Google, but it doesn’t kind of say, “Great. It’s done. They’re gone.” There’s no answer from Google. It just goes up there, hence lots of people have put their disavow file up and go, “Am I done? Has it worked?” Also, lots of people make mistakes with disavow files, so do be very careful. What are your thoughts on disavowing, Sha? Sha Menz: Okay. The first thing is be really careful that what you put in your disavow file is the links that you absolutely don’t want to be counted against your website. I recently had a client who I did a disavow file audit and discovered that … In fact, the one that you talked about at the beginning of this show, the Sydney Morning Herald and several other very high-profile Australian news sites, had actually been accidentally disavowed because they had taken data out of one of those automated link removal tools and just put the disavow file up there. You can imagine the impact. If you’ve got a dozen links from very high-value sites like that, that should be being seen in your link profile and you’ve disavowed them, so you’ve effectively told Google that you don’t want that link equity counted for your site. You are missing out big time, so you need to be really careful about what you put in there and what you don’t. The other thing is that when you are disavowing links that you think of as low-quality, as you mentioned earlier, you often can’t know or you never can know in fact exactly how many links there are. Usually, what we consider low-quality sites, it’s usually best practise to disavow the entire domain rather than just the one link. In a situation where we might in fact have a bad or an unnatural link on a Sydney Morning Herald page that we do want to disavow, we would disavow just that one page, the link on just that one page. If we’re disavowing my best SEO link manipulation .com, we would probably disavow the entire domain. That means that any link that’s on that site will be disavowed, and that way you know that there’s no slippage. There’s no chance that there’s links out there from that site that are still affecting you that you haven’t dealt with. Kate Toon: That’s great. Also just to reconfirm, you don’t really get an answer from Google, and often these links will still show up in all the various tools. Sha Menz: The links will always still show up because the links are always still there, so a disavow is really just a message to Google. In fact, it’s just a suggestion that you really don’t want that counted against your site. A couple of important things about disavows, is you have to make sure that you get the formatting of the file correct and that that file has been uploaded correctly. Things to watch out for. When you use the disavow tool, you will get a notification at the end that actually tells you how many domains and how many links were disavowed. If you know, for example, that you were trying to disavow 50 links and you get that notification and it says it’s only just about five, then you know there’s something in the syntax of your disavow file which has lost some of that data. It’s not being read by the disavow tool, so you need to pay attention to those things. The other thing that I usually suggest and I do when we do link cleanups for clients, is that when we actually submit the disavow file, we take a screenshot of that notification, and then we file it away, so we know exactly when that file was uploaded and how many domains and specific URLs were disavowed. We know that that was actually acknowledged then. We have had a situation in the past where a client uploaded their own disavow file and it seemed like there was some kind of a problem. We actually went back through one of the Google Webmaster analysts and found out that that file actually had not been uploaded properly. Something had happened in the tool, but because we actually had that screenshot of the notification of exactly when it happened, it allowed for them to then go back and try and trace what the problem was. It’s always a good idea to keep that information. Don’t just click the link, submit the file, and then forget about it. Kate Toon: That’s something that we teach on the course, is keep copies of your disavow files. Take them on screen grabs and the results just to make sure that you can always backtrack if you have a problem. Okay. Well look, I think we’ve covered up some of the core issues. 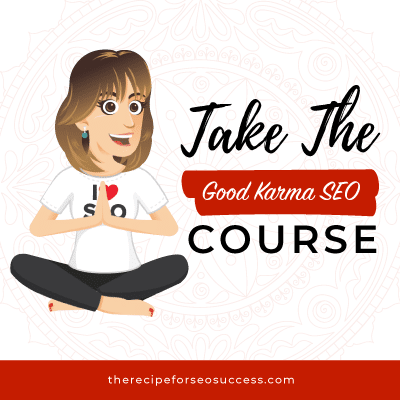 Now, obviously we could talk about links all day, but what I’d like to do to finish off the show is answer some of the questions from students from my own I Love SEO group and from the course. I’m just going to fire some questions at you and finish up the show. One question from one of my students called Darryl is, how often links appear to his site that he didn’t create. He hasn’t used an agency, so how does this happen? Sha Menz: In the natural course the internet, that does happen. There are lots of sites out there that actually scrape information off of other people’s site so they can try and use it to create a copy for their own sites. It’s pretty lazy but it does happen. One of the other things that’s a bit of a bane in everybody’s life is all those sites that report on domains. They’ll tell you how much the value of the domain is and all that kind of stuff. Those are generally set up by people who want to try and earn money off the ad revenue, so you’ll find that they always have lots of ads on the page and stuff, and they’re hoping people will go there and look at that domain and then click a link and earn them some money. All of that can create links to your site that you didn’t intend to put there. The thing is that on the whole, most of those sites are actually not going to be hurting you that much because Google is able to see, Google understands what’s happening there. They make allowances in the algorithm for those, and also now with the new Penguin algorithm, even if they’re low-quality sites, if they’re determined to be low-quality sites, those links would basically just be disregarded, so that’s not a big issue. The other thing you need to worry about is that if you’re in a very competitive space, sometimes your competitors can have a little bit of a mind flash and decide they’re going to try and do something like they did to you and artificially create links. I guess the message there is always pay attention to your link profile. Even if you don’t have a problem with it, just pay attention so you know what’s going on there. Kate Toon: I think that’s sound advice. It’s often something that people don’t look at, so they don’t keep track of it and they don’t keep track of how many links they’ve got. One or two low-quality links is going to have no impact whatsoever on your ranking, but it’s when you start to get heaps and heaps and they’re coming thick and fast, that you can maybe be the victim of some competitor action. Another nefarious thing that I’ve noticed is if you are paying for an SEO agency, another SEO agency, it’s not very nice, might do a Black hat SEO campaign and then they will approach you and say, “Hey, your agency isn’t doing well We can help you.” It’s all a big dodgy, but nine time out of ten, that’s not going to happen to a small business company. It’s not something you need to be terrified of, but I just think it’s good advice to keep track [crosstalk 00:30:34]. Sha Menz: I guess the other thing to be aware of is hacking, of course. Often you find that there’s suddenly a whole pile of links that come to your site from particular sites. That’s actually not you being hacked, that’s the site that’s linking to you being hacked and creating multiple copies of the pages that link to you. The nice thing to do there is to actually reach out to that domain owner and say, “Hey, I noticed this came up in my profile. I think you might have a bit of a hacking problem over there.” They will obviously go, “Thank you very much,” and clean it up. You could also, if you noticed that, you could ask them to please take down that page or remove the link to your site from that page so that it’s actually not going to affect your link profile. Kate Toon: Awesome. We’ll do the last couple of questions as quickly as we can because we’re running out of time, but I just want to cover them all because people have asked them. Kelly O’Donald from [Kellyodonald.com 00:31:32] asked … He has a site which has multiple links from the same sites, so possibly they’ve included the link to her site in their philtre or something like that, and she’s worried that that’s going to be seen as a spamming link in Google’s eyes. Yes or no? What do you think, Sha? Sha Menz: Okay. Don’t worry too much. Mostly, Google can spot it. If it’s a footer link, they’d pretty much devalued almost out of existence anyway. It’s only when you manipulatively do that that you have to worry about it, so don’t worry too much. Also often, that’s coming from CMSes like WordPress et cetera, that just generate multiple copies of pages, URLs. Kate Toon: Agreed. The last one, and you can answer this fairly swiftly. It’s from Sally in my I Love SEO group. She’s worried about reciprocal links. She read an article that reciprocal links are bad. She has a link from her friend’s website to hers and back again, and she’s worried it’s going to be negative. I would say, Sally, look on that scale, you just don’t need to worry about it at all. When we’re talking about reciprocal links, it’s when there are thousands of links from one site to another, almost like link farms. That’s when Google gets iffy, but not one or two links between you and your friend. Sha Menz: No, and really, that’s more about the page that’s linking. If your site is fine, your friend’s site is fine, not a problem. If your friend’s site has one of those pages that’s like a slash links page and it’s got lots of links on it, then it could be seen as manipulative, but the easy fix there is use that no-follow tag. Kate Toon: Yes, and then it just will cancel that out. That’s great. Thank you so much Sha for being on the show. I will include links to all Sha’s social media in the show notes, as well as the link to Big Digital. Tickets are on sale. We’re not going to do a [inaudible 00:33:20] probably a great event and highly recommended though. I’ll be there so you’ll get to meet me, which obviously is a huge thrill. I’m sure you’ll be flooded with ticket sales after this, but I’ll just include [inaudible 00:33:31] me. I’m joking of course. Look, I’m just going to end the show with a shout out for one of our listeners. 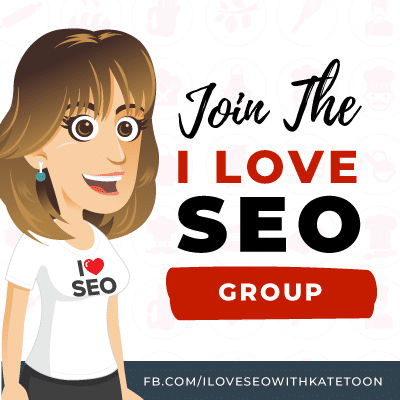 By the way, if you have anymore questions about bad backlinks or unnatural links, feel free to head to the ‘I Love SEO’ group on Facebook and share your thoughts. We have a little review from, I don’t know how to say this, F-G-I [inaudible 00:33:54] [FIGL 00:33:53]. 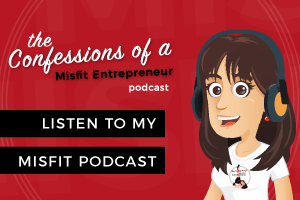 She says, “I can honestly say that I’m not an overly tech savvy person, so Kate’s podcast on SEO has been a godsend for me. 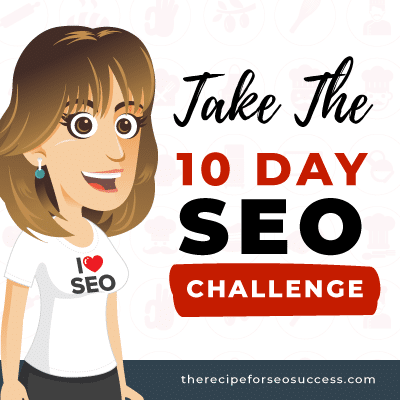 Kate’s ability to [inaudible 00:34:03] SEO simple, easy [inaudible 00:34:05] has meant I’ve been able to work on our SEO and improve our rankings all by myself. I find the podcast not only informative, but also very enjoyable, and I look forward to listening to them, and to her guest,” that’s you Sha, “[inaudible 00:34:17] my own SEOs. It’s given me so much more confidence in my business.” Thank you very much for that review. I love your reviews. I read every one of them, and if you do give one, I’ll give you a little shout out on the show. Thanks for being on the show, Sha. Sha Menz: Thank you for having me. Kate Toon: It’s great to have you. Thanks to our listeners for listening. Don’t forget, if you like the show, leave us or leave me, but only me, a five-star rating and review on iTunes or Sticher. The more reviews we get, the more people we can help learn about the lovely world of search engine optimization. 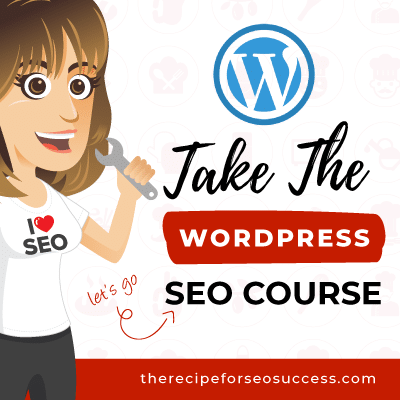 Don’t forget to check out the show notes for this podcast on www.therecipeforseosuccess.com.au, where you can learn more about Sha and check out some of the great tools that she mentioned. 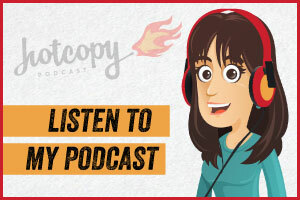 Finally, don’t forget to tune into my other podcast, The Hot Copy Podcast, a podcast for copywriters, all about copywriting, hosted with the lovely Belinda Weaver. Gosh, I don’t think I took a breath for all of that. That’s it for this week. Thanks Sha. Kate Toon: Until next time, happy SEOing.